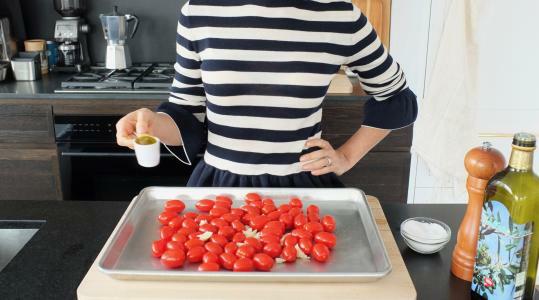 Put the tomatoes on a rimmed sheet pan. Smash and peel the garlic and add to the pan. Drizzle with the oil and sprinkle with the salt, black pepper, and red pepper flakes. Toss together. 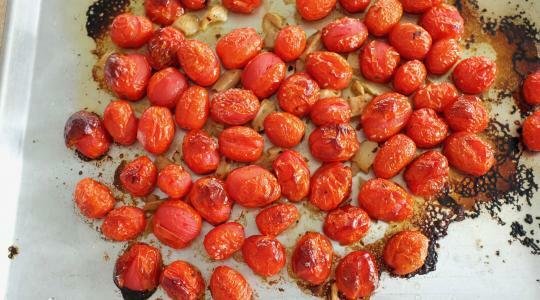 Roast until the tomatoes burst and start to shrivel and the garlic softens, 30 to 40 minutes. Meanwhile, fill a large pot with water 2 inches from the top. Place over high heat and let come to a boil. Cook the pasta according to the package directions. 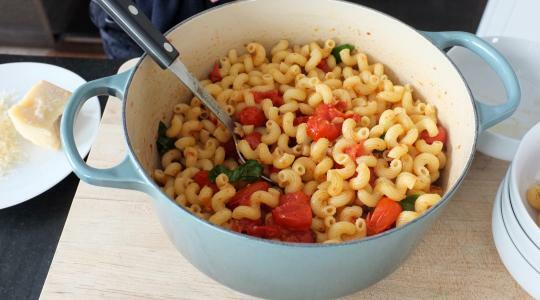 Just before you drain the pasta, reserve ½ cup of the pasta water. Return the pasta to the pot and place over low heat. Scrape the tomatoes and garlic into the pot. Add ¼ cup of the pasta water and the cheese. 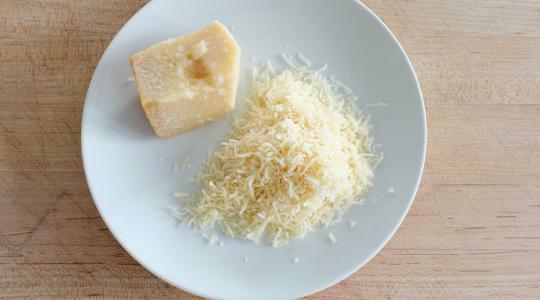 Stir until the cheese melts. If it seems a little dry, add a little more oil or pasta water. Check for seasoning – you may want to add more salt. Tear the basil leaves and stir in. 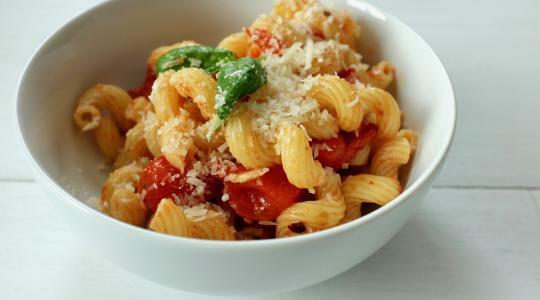 Serve topped with more Parmesan.